Fill out the form below to book a table. Once you have selected a time, click "Book Now" to enter in your details to complete your booking. For parties of 7 or more, please call on 020 375 00172. Rabbit Monday Night bring your own bottle! Rabbit has teamed up with new business Pull the Cork to help you enjoy great food and wines at shop prices on Mondays (no corkage). Although we would love it if you ordered your wine at Pull the Cork you are welcome to bring your own from your home cellar. James Nathan founder of Pull the Cork is proud to share a parallel ethos as the Gladwin Brothers with Pull the Cork specializing in “sustainable and health conscious wines”. If you have any special instructions with your own wine please let us know when booking. Planning a shopping trip to the king's road? Stroll through blissful Chelsea for a few hours before stopping off at rabbit for some much-needed comfort food to help you reenergize. Time out has voted us as the "best Sunday roast in Chelsea"
The Sunday roasts at rabbit aren’t any old Sunday roasts, they feature sustainably sourced prime cuts of Sussex beef from the Gladwin brothers farm in Sussex. Yorkshire puddings, plus wild veggies supplied by local suppliers. Sit back in the country-meets-city restaurant space, and enjoy a rustic dining experience in the heart of Chelsea. Visit our contact page for directions and to book now. We look forward to seeing you at Rabbit this Sunday! 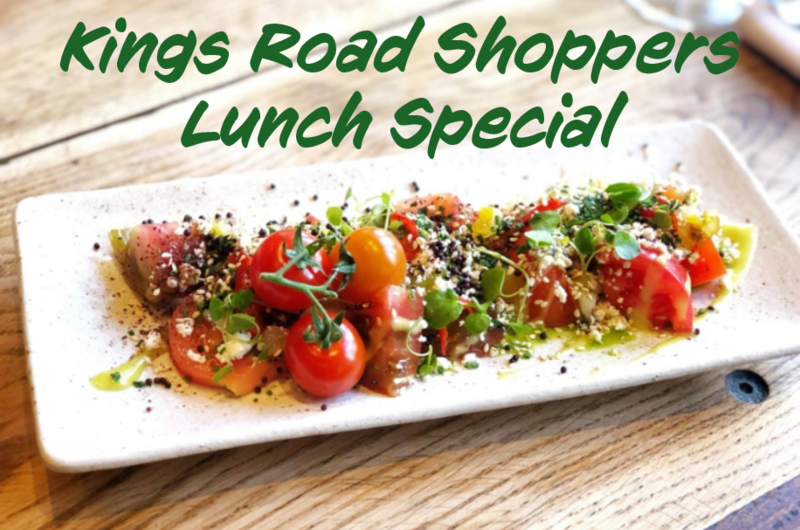 Fast and fresh lunch on the Kings Road in Chelsea, ideal for local business people. Lunch at Rabbit post your wedding at Chelsea town Hall could not be better, call us now to hear about our wedding menus. Creative Chef Director Olivier Gladwin certainly wowed the audience at The Food & Drink Festival in Olympia recently. A DISCRETIONARY 12.5% SERVICE CHARGE WILL BE ADDED TO YOUR FINAL BILL.